The main facial signs are big pores and with a longterm deficiency spongy skin. Excessive moisture or dryness anywhere in the body is a good indicator for Natrium muriaticum, and symptoms are many and varied. One of the most important Tissue Salts as two thirds of our body is made up of water and hence dysfunction in this area can lead to widespread problems. 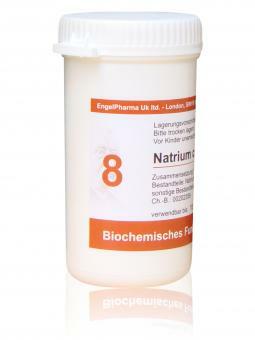 Considered the Water Salt, Natrium muriaticum helps control the degree of moisture in the tissues, and as such is beneficial for temporary relief of conditions such as watery colds, (runny nose and eye watering symptoms), sneezing, un-refreshing sleep, low spirits with a hopeless feeling, loss of taste and smell, dry skin, headache with constipation. Sodium Chloride is contained in all bodily fluids and tissues. 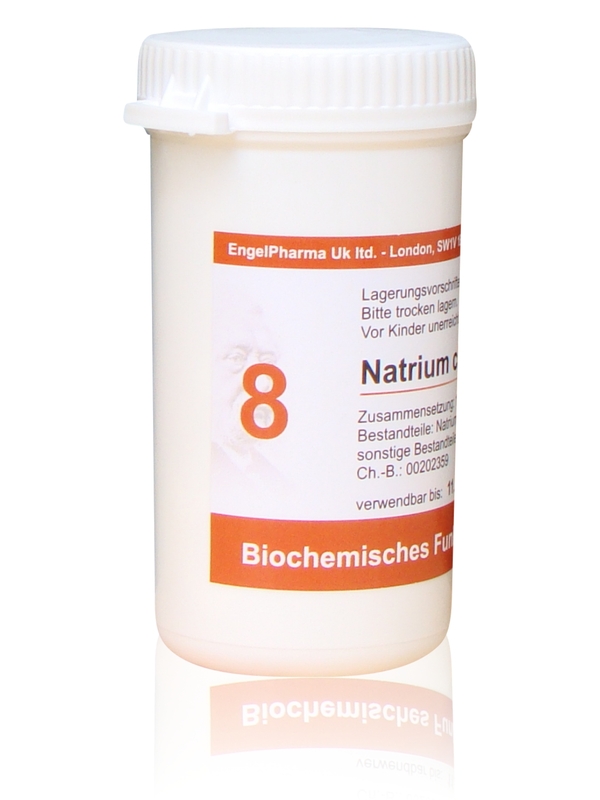 It regulates the absorption and excretion of fluids of the cells. When a malfunction of the fluid metabolism takes place, a sensation of feeling cold along the spine as well as on hands and feet and a watery and puffed up face occur. It is the mineral in cases of anemia, involuntary flow of tears and excess saliva, watery rhinal catarrhs and rashes with blisters.